News reports have revealed the horrific death of a woman who was reportedly decapitated while making love by the rail tracks. The victim and her lover, names withheld, where reportedly making love close to the world famous Trans-Siberian railway track, when the incident took place. 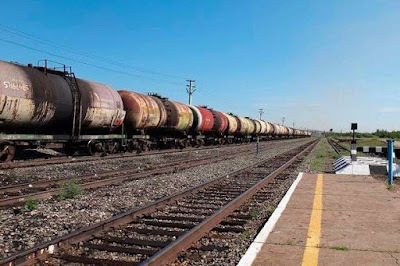 The accident occurred in the remote region of Buryatia, in Russia, with Siberian Times reporting that the pair, who were reportedly drunk, were on the floor when they suddenly heard the noise of the approaching train. "The woman was on top of her partner and when she heard an approaching train, she started to stand up. "Right then, the speeding train tore her head off. "Had she remained in her previous position, she would have stayed alive. The man survived." The randy couple are said to have been homeless people.